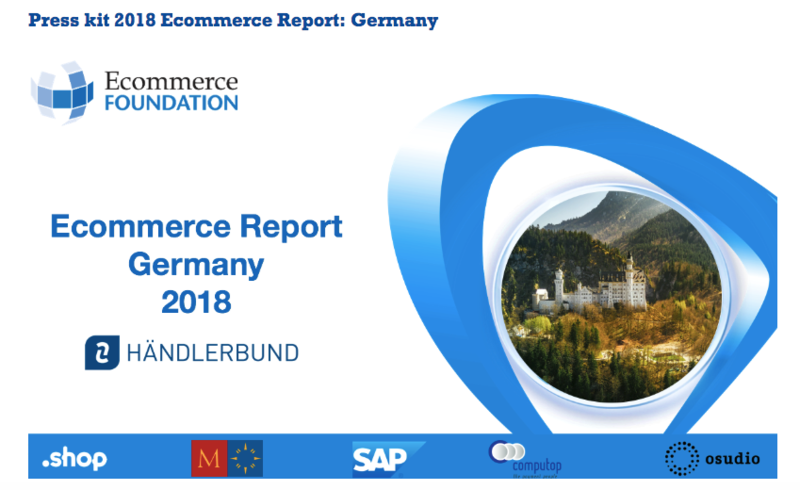 The Ecommerce Foundation released a report on the state of ecommerce in Germany in 2018. The report has been created in cooperation with the foundation’s partners Computop, Mazars, Osudio, .shop, SAP, and Händlerbund to help companies assess their potential on the German ecommerce market. 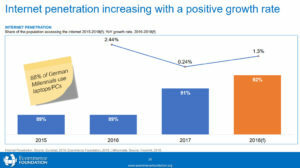 The study includes hand-selected data to help domestic and international online businesses identify growth opportunities on the German ecommerce market. It covers areas such as Infrastructure and Logistics, E-commerce Landscape and German Consumers. 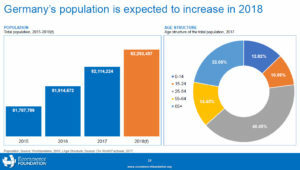 You will also learn the most recent figures on the German demographics, unemployment and GDP. The report is 59 pages long and has been issued in two versions. There is a free version you can download from this Ecommerce Wiki page, and an extended paid version that you can buy here. The Ecommerce Foundation analyses ecommerce, B2C and cross-border selling in 40+ countries globally. So far, the foundation has released 14 National Ecommerce Reports, a European Ecommerce Overview Report with insights for European countries, and a Global Ecommerce Overview Report. To view all free and paid reports available to date, click here. Want more free and recent reports? Check out the free Payment Methods Report 2018 by The Paypers.